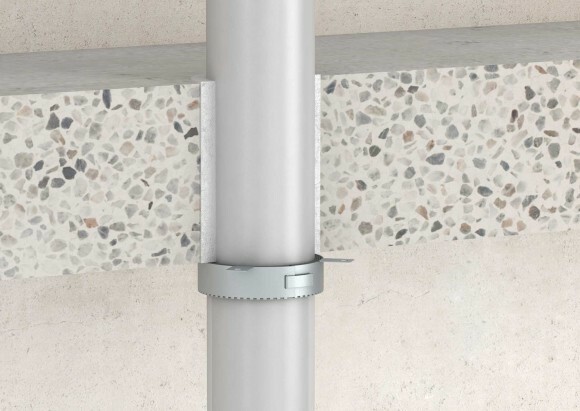 The ROKU System FSC 4 Fire Stop Collar consists of intumescent material within a metal casing and metal fixing lugs. 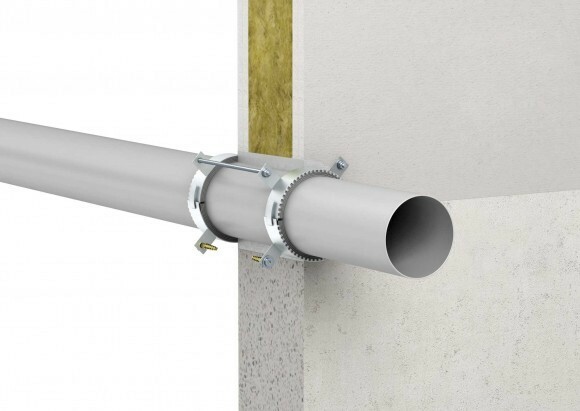 Sealing of plastic pipes up to a maximum of 160mm in solid walls, drywalls and solid partitions. Easy, economical and practical to use. Technical data available on request.